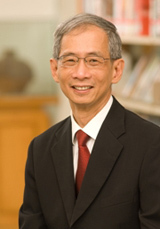 Franklin Luk joined Hong Kong Baptist University as Vice-President (Academic) in June 2007. His responsibilities at the University cover all academic programmes and support services. Professor Luk was born and raised in Hong Kong. He left the city in 1969 to study in the USA. His degrees include a B.S. degree in Mathematics from the California Institute of Technology in 1972, an M.S. degree in Statistics from Stanford University in 1974, and a Ph.D. degree in Computer Science from Stanford University in 1978. Professor Luk taught at Cornell University from 1978 to 1992, where he was promoted to Professor of Electrical Engineering in 1988. He joined Rensselaer Polytechnic Institute in 1992 to become Chair of Computer Science, a position that he held until 2000. Professor Luk taught for three years at the Chinese University of Hong Kong, from 1993 to 1994 and from 2000 to 2002. In 2004, he spent twelve months as a Legislative Fellow in the Office of Senator Hillary Rodham Clinton in Washington, DC, USA. A student of Dr Gene Golub, Professor Luk works in matrix computations. 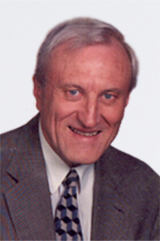 He has chaired an annual SPIE Conference on signal processing for over twenty years. Matrix approximation is a well-studied area of mathematics, but despite the attention it has received, many open questions remain involving existence, uniqueness, extensions to tensors, and efficient computation. The focus in this talk is on matrix approximation problems constrained in rank, sparsity, and nonnegativity, including a novel approach to uncertainty in matrix entries. Applications to deblurring pictures (images), detecting chemicals, and classifying newswire articles will be discussed. Walter Gander is Visiting Professor in Computer Science. He received his Diploma in mathematics from ETH Zürich in 1968. He received Ph.D. in mathematics in 1973, supervised by P. Henrici. He has been the Professor for numerical analysis and computer science at the engineering college Neu-Technikum Buchs; Visiting Scientist at Stanford University; Habilitation and Privatdozent for numerical analysis at ETHZ. Prof. Gander was the head of the Institute of Scientific Computing from 1989 to 1997; the chairmen of the faculty of computer science from 1990-92; the head of the Swiss Supercomputer Initiative for acquiring the national supercomputer in Manno from 1989-1991 and also the chairman of the department and director of education of computer science Fall 1997 to Fall 2001.